Due to bilateral heel bursitis in his right foot, DiVincenzo will have his rookie season cut short. He appeared in 27 games, averaging 4.9 points, 2.4 rebounds and 1.1 assists while shooting 40.3 percent from the field and 26.5 percent from distance. 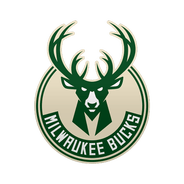 With Malcolm Brogdon (foot) out until, optimistically, late April, DiVincenzo's presence would have been helpful for Milwaukee's backcourt depth. Now, Tony Snell, Pat Connaughton and Sterling Brown will be relied upon even more in the postseason.